Working with Emotions: You Found the Message, Now What? Self-Care: Are You Practicing What You Preach? Are You Expressing Your Heart Energy? Living in Joy Part 4: Surrendering and Letting Go — Late joining this series? Catch up from the beginning with Part 1 or from last week’s Part 3! Do you ever feel that perhaps others are deserving of living a life of joy and that you are not? Perhaps you feel that you have done something wrong and are obligated to carry that heavy burden with you the rest of your days. Today, dear one, let’s focus on shifting away from this guilt, this burden, this heavy load and release it in surrender; let’s let it go. We have often heard of the saying “Let Go and Let God,” but just how do we do that? I’m including some excerpts from my books, “On a Path of Joy” Volumes One and Three, to further enhance the message that, indeed, you are a beloved child of the Divine. You are worthy. You are a precious child of the Divine, and you are capable of surrendering and letting the past go so that you may more easily live a life of joy. May this article bless your heart with so much love and encouragement. “This is a beautiful prayer or affirmation that can change our whole outlook. By surrendering, we allow ourselves to be vulnerable, to be open and to release the situation to God in faith. We bring the matter out of the deep, dark hiding place within us, where it is festering and bringing us so much pain. We can now open up, surrendering our ego and the matter to God so He can heal us. We release and give the situation to God once and for all. Once we release it to the light, we are free. We no longer bear the heavy burden alone. Freedom is ours. Is it time, beautiful one, to open up and release that heavy burden today? You are surrounded by so much Divine love. Self-reflection is a beautiful habit in which to end the day. The evening, when the sun is setting, is an appropriate time to reflect on the day. When in bed, it is a wonderful place to sow the seeds for a brighter tomorrow by counting your blessings of the day. I love to review the top three blessings of the day and savor them. Cultivating joy, the feeling of marinating in the goodness, leads to achieving a higher level of appreciation and is much more productive than worrying about what you did or didn’t do. Remember, you are more amazing than you realize. You are a precious child of the Divine, even if you don’t feel particularly precious. Sending you so much love, joy, and peace, precious one. Know that tomorrow is another chance; a gift. May you walk a blessed path. And so, it is. If there is forgiveness that needs to take place in your life, know that it is for your ultimate good and benefit. The other party need not even know about it. Forgiveness is a gift you give to yourself and it creates a healing in you, for you. This beautiful gift to you, from you, creates more personal power; a beautiful thing. Forgiveness doesn’t mean you are condoning the behavior or action, nor does it mean the other party matters more than you. Forgiveness means you are no longer going to be carrying that burden of hurt from your past into your future for another day. You will give that hurt to God who will heal it, that you may leave it behind. With God’s help, you are strong enough in your personal power to leave that hurt behind. It belongs in your past. Don’t allow the hurt from the past to ruin another day of your life. Leave it behind, beautiful one. All you need do it ask for God’s help. A helpful exercise is to write a letter to the person (do NOT give or mail it to them). Write this letter with as much pure rage, language, emotion, tears and hurt as you have inside; get it all down on paper. Let it all out. Once that letter is written, safely burn it and release all the pain and hurt you have inside. It is gone. You are healed. You are strong enough in your personal power to heal it today thanks to honoring your connection to the Divine. All you need do is ask for God’s help and believe Divine help is possible. Wrapping you in loving encouragement with this beautiful message that, indeed, you are a beloved child of the Divine and are deserving of living a life of joy. Stay tuned for the finale of this living in joy series next week! Stay tuned for articles by me on the topic of Living in Joy over the next several weeks. Let’s connect live on May 10th. My angel guides have taught me how to live in joy and I have joy every day. It’s not difficult! Let me share more with you, click below and let’s connect over a cup of tea and angelic inspired guidance in my upcoming master class. Just for joining me I have some wonderful gifts. Wishing you a joy-filled day! How did this article make you feel? Leave your comments for Janette below. Please share this if you liked it. Thank you! 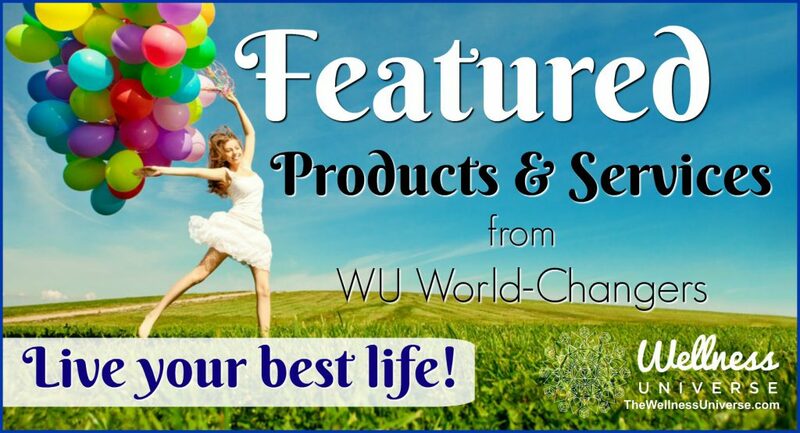 Find great products and services for your well-being from members of The Wellness Universe! I'm Janette, founder of Angel Angles which exists to spread more love, joy and peace into the world. Angel Angles also shares the Divine beauty which resides within us all. Helping us remember what beautiful, loving, amazing people we are and what a beautiful. loving world we live in. We’d love to connect with YOU at The Wellness Universe! Next articleDoes Your Cat Have Food Allergies?